So I’ve been working on a topdressing project and thought I’d share the photos. 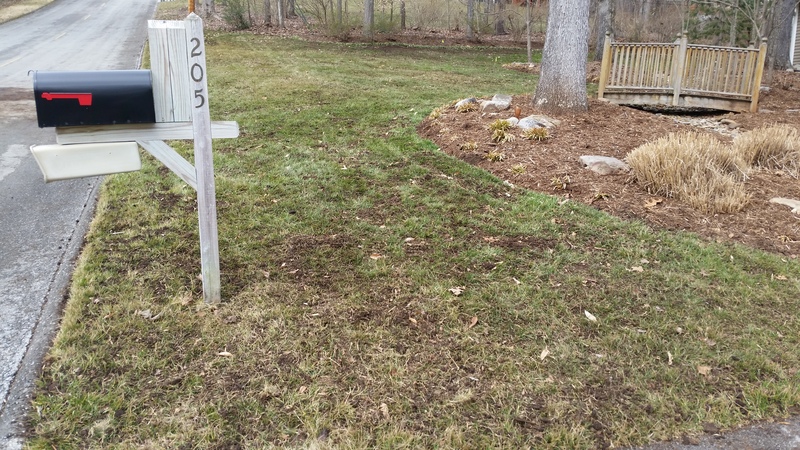 This particular customer is new to our lawn care program, and after solving where we wanted to take the lawn, we decided topdressing was our best initial bet. 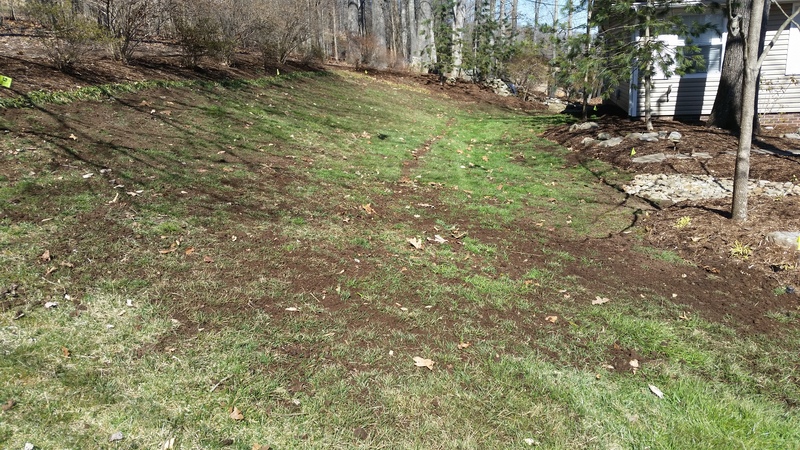 The lawn had been aerated and over seeded every year, but it still was just not performing. you can see how thin the turf is as well as moss. 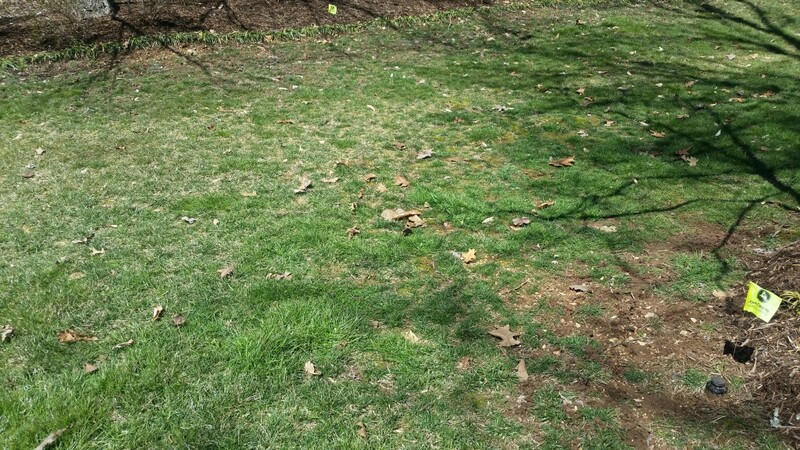 That’s a great indicator that 1) your lawn care program is not working., and 2) your soil needs help. In the second picture you can see some germination took place, but a relatively poor amount. 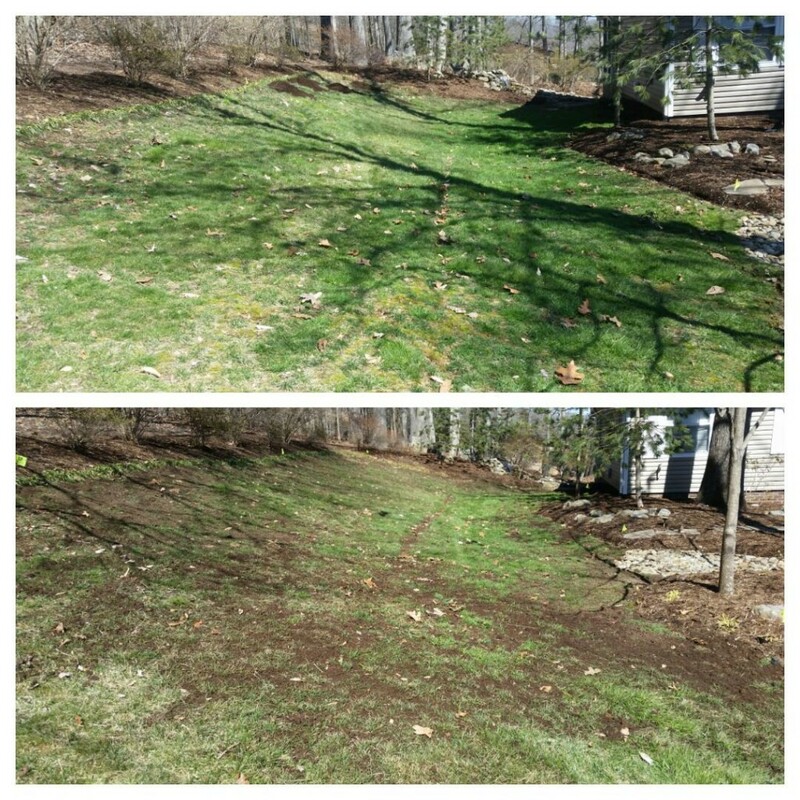 This lawn needed a specific, Knoxville lawn care topdressing solution. I ran the aerator over the lawn a few times to little avail. Weather, foot traffic, root competiton, precipitation, microbial activity, and even earthworms can influence compaction. It’s tough in my position to know that the lawn had been aerated not even 6 months ago and I can hardly pull a plug. So I gave it a wait and came back after a little rain. Plugs were pulling much easier so I knew it was game time. 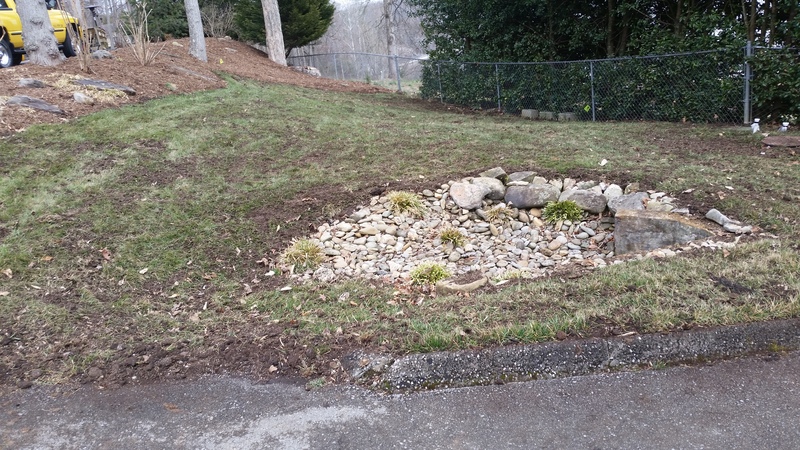 Even with that first section completed, it was almost as if the yard smelled better – cleaner, healthier even. I’m very passionate about what I do, but I’m fairly confident this lawn took a huge sigh of relief. It looks brand new, right? Well, kind of – it looks rough. 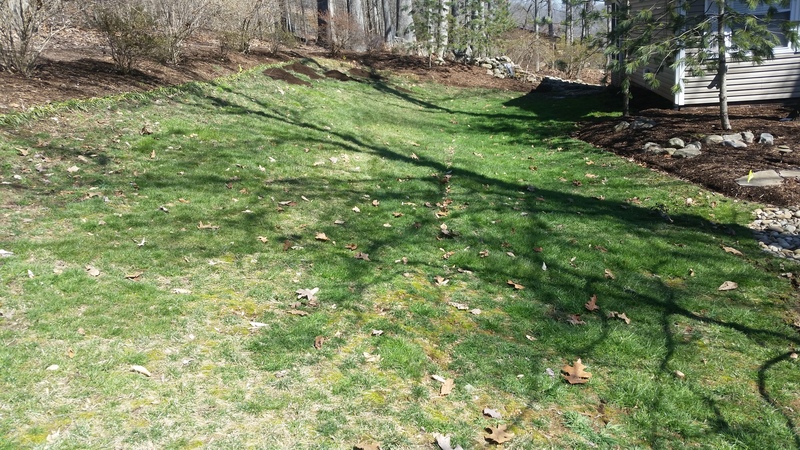 After several brutal aerations and 6 yards of compost, its no longer beaming with visual appeal. However this is the turning point of this lawn. This is the threshold that must be crossed to go from being mediocre, or acceptable, to being the shining star of the neighborhood. I wrapped the day up with a very slow release fertilizer and a couple of half rate overseedings with a transiton blend fescue. By the end of the month, this lawn will have a new standard of great. It’s time for a greener, cleaner, smarter lawn care.